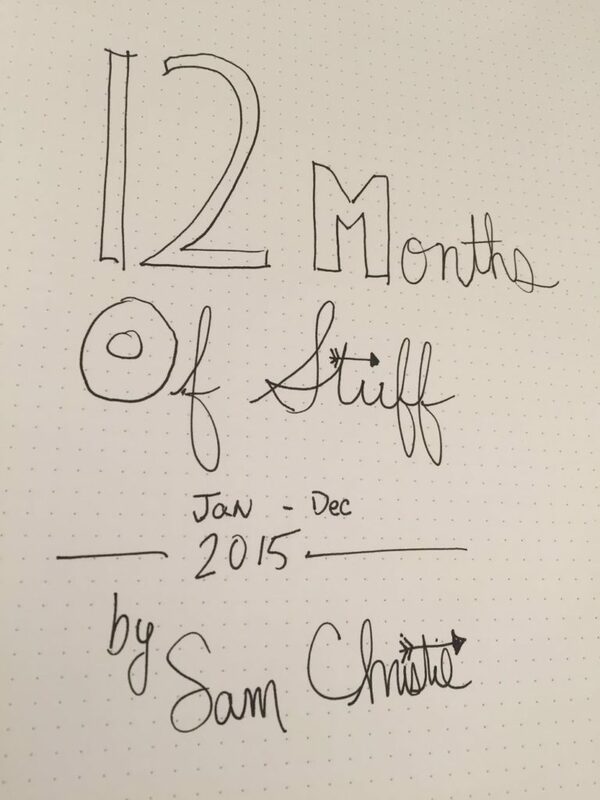 When I had the idea for 12 Months of Stuff, I initially wanted to start it in 2016. Thankfully my then-fiance, now-wife convinced me to just go for it and start in mid January. Looking back, I can’t believe that I almost passed up an entire year of new experiences. 2015 was undoubtedly the best year of my life. I got married. I released a split EP with a good friend. I worked on myself and I worked on tons of stuff. I have the beginning of what might turn into a 12 Months of Stuff book. Or it might not. But I don’t care. And I think that’s the best part. Writing it all was enough. Doing it all was enough. Recording the songs, revamping my routines, attempting and failing to code my own site. I think I’ve learned more in the past year than I did in the previous 5. I’m not sure what 2016 will bring. But 2015 has set the bar. Thanks for reading. I hope I wrote or did something that made you think. About the world, about yourself, and about your own goals and expectations. If you want to take on your own 12 Months of Stuff, the only thing holding you back is nothing. You just have to start. Somewhere. Anywhere. It doesn’t matter where you’re headed because your next stop will be something new. You’ll learn new things, meet new people, and before you know it, you could be looking back on the best year of your life. If you want to get where you want to be, it starts with that first step. P.S. http://12monthsofstuff.com will probably stick around. It might redirect to whatever I do next, but I’ll make sure all the posts are in there.